This is a very harsh asssessment, but it’s one shared by a number of Kim’s Twitter followers right now. The reality star has garnered quite a bit of backlash for what some perceive as an incredibly tone deaf Tweet on Thursday morning. So excited! @KKWFRAGRANCE is coming to @ultabeauty this holiday season! My fragrances launch in all stores across the country on Sunday 11/25! Get ready! #KKWFRAGRANCE is coming to all @ultabeauty stores on Sunday 11.25! #KKWFragranceUltaBeauty. 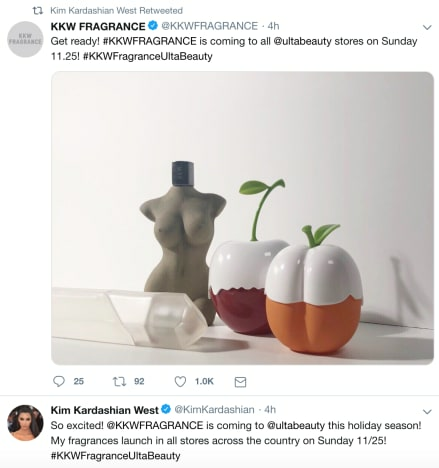 On the surface, this is exactly what any follower of Kardashian would expect: a promotion of her makeup, beauty or perfume collection. But the self-serving messages came just hours after the world learned of another mass shooting, as a dozen people were gunned down in a bar in Thousand Oaks around 11:20 p.m. on Wednesday. As you might expect, many social media users responded to Kim’s fragrance shilling by asking what the heck the mother of three was thinking by sending them in light of this tragedy. 12 people are dead this morning Kim…and it happened a city over from your home. Get it together. I would be much more interested with the developing facts behind a mass murder in Thousand Oaks, CA, that went down late last night Kim! But you really blew this one big time! Massively! Kris Jenner needs have a heart to heart with you! You are aware that there was a mass shooting one town over, right? The thing is, Kim was likely unaware of this horrific massacre at the time the Tweets went live. Based on the similarity of the messages, as well as how they were posted back-to-back, they were almost definitely scheduled to go up when they did, at some point before the aforecited bar patrons were killed. And Kardashian has actually been a vocal proponent of gun control in the past. So this is one important topic on which the star has been admirably vocal. Still, the unfortunate timing of Kim’s Tweets here coincide with Kardashian having to recently apologize for using the R-Word in video. She may be best served by explaining the situation and issuing a statement about the shooting and gun control in general, simply to avoid another scandal. 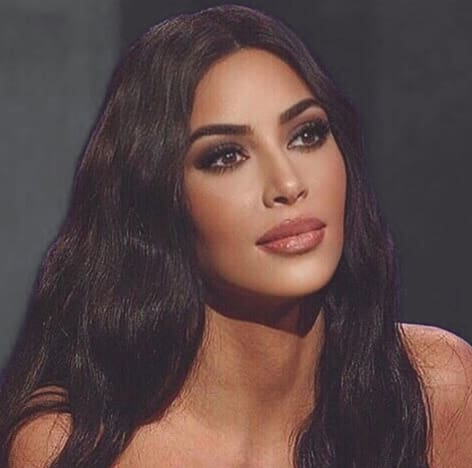 Not that what folks think about Kim Kardashian is remotely the point right now. What politicians think about the state of our country and the role guns play in it is infinitely more pressing.